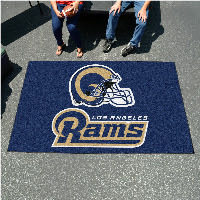 Tailgate in style with NFL officially licensed outdoor/indoor mats from Fanmats! These mats are made of the highest quality 16 oz faceweight nylon carpet and chromjet printed for vibrant, true team colors. Available in 5' x 6' and 5' x 8' sizes. 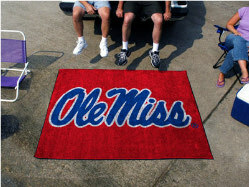 Tailgate in style with NCAA officially licensed outdoor/indoor mats from Fanmats! These mats are made of the highest quality 16 oz faceweight nylon carpet and chromjet printed for vibrant, true team colors. Available in 5' x 6' and 5' x 8' sizes.